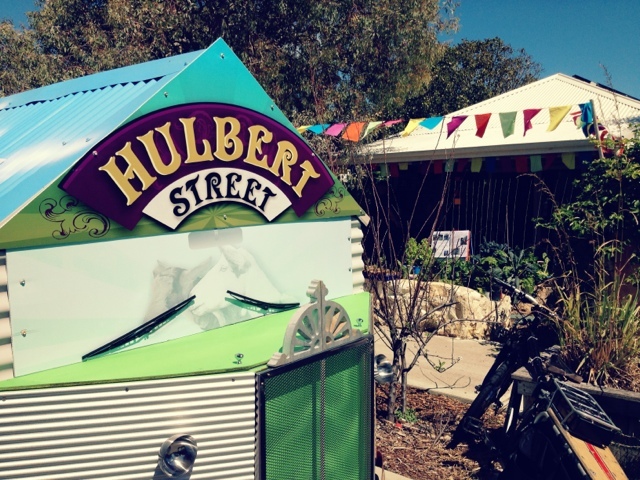 Yesterday we headed down to the Hulbert Street Sustainability Fiesta in South Fremantle. 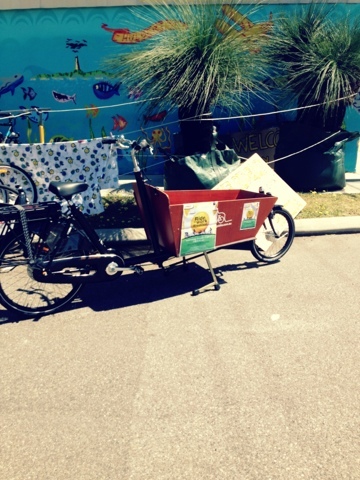 The Fiesta is all about sustainable living, they have a couple of open houses that you can walk through and see the changes they have made, they have a guerilla garden for the street packed full of awesome veggies. 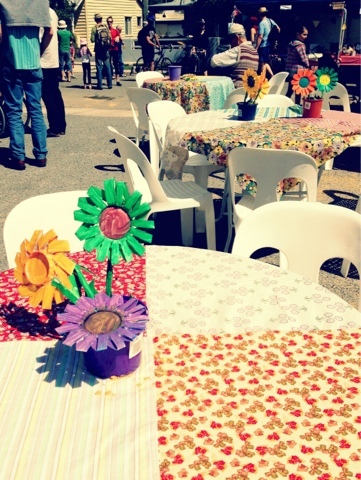 There were loads of food stalls and lots of other stalls full of sustainability ideas. The street was jam packed with people. 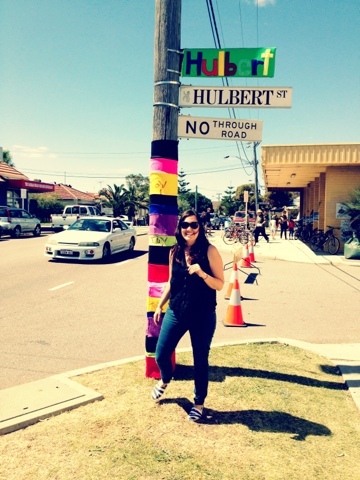 We were bad Freo-ites though, we drove our car there, and it is so close to our house. I had the guilts as soon as I saw the valet bike parking, next time we are definitely riding. I love how many people ride around our area, I just need to make the conscious decision to do it more often. I also forgot my eco bag, man, not representing sustainability well here. I did get an ego boost walking past the solar panel stand and thought to myself, Yep, got that. Then finding the cloth nappy stands, I could happily think, Yep I do that too. Plus they had a stock of my favourite washing detergent for cloth nappies (Rockin Green) and I was on my last scoops of my bag. One of the sustainable houses open for inspection. I love things like this though because they give me inspiration to make positive changes, and seeing how easy and affordable a lot of it is makes me wonder why I wasn't doing it before. I guess I figure that if I can do what I can to make my impact on the Earth less and the amount of chemicals we have around us and that we consume less, then that has to bee a good thing right? I also love the idea of a street being a community as well, how often now do we not know who our neighbours are and those who live around us. I think community ventures like this are such a positive thing! 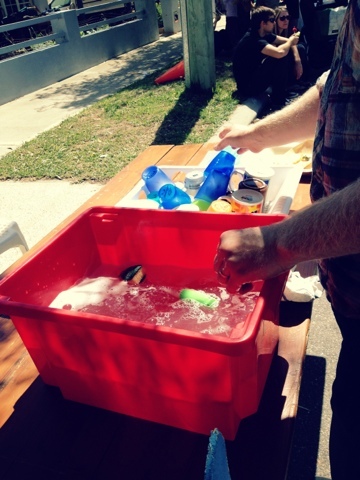 Instead of throwaway cups all the vendors used reusable mugs or cups that you were required to wash yourself. Hard to get through with a pram. Love these shirts! 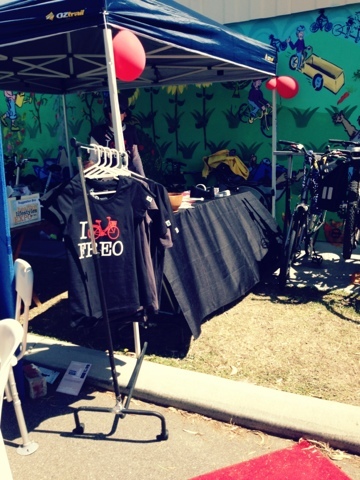 Also they had Valet parking for bike riders and a red carpet welcome. 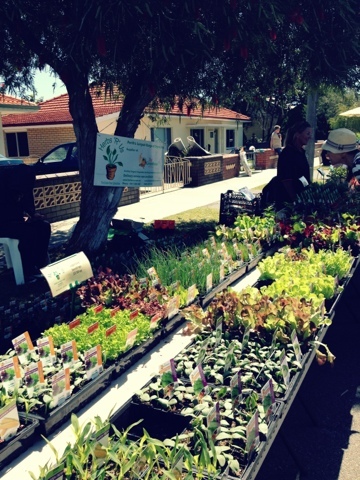 We picked up some seedlings for our veggie garden. 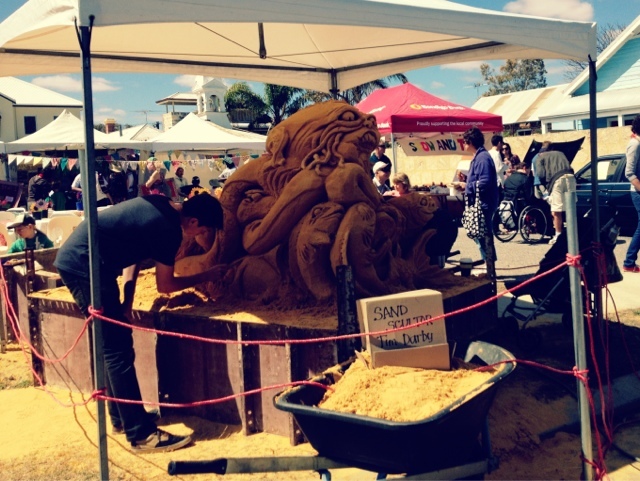 Amazing sand sculpter on the way in. 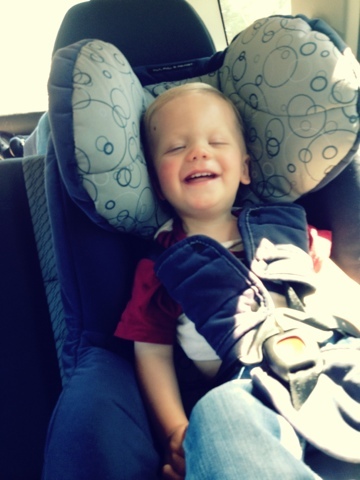 Trying hard to stop the kid from falling asleep on the five minute drive home. And if you are the voting type, I would love a click!! 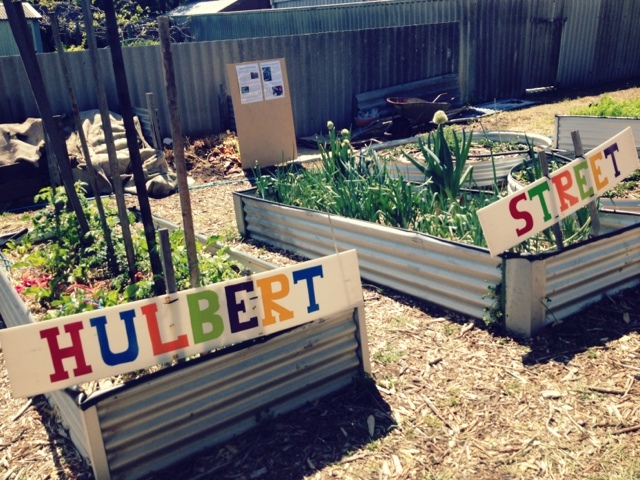 5 comments on "Sustainability on Sunday at Hulbert Street"
Looks like a very cool day. I hate to admit that we are not very Eco-friendly here but it's definitely something that I want to try and get better at. I was so excited about this, and it really didn't disappoint. 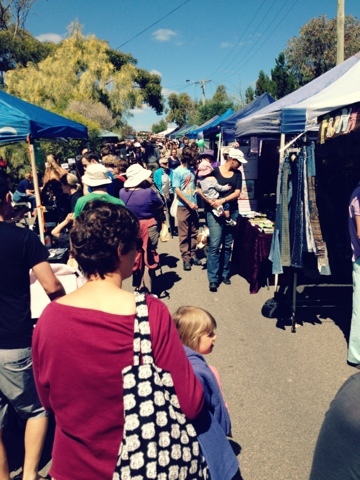 As a newbie Freo-ite, I tend to hear about things after I've just missed out, so was really glad I made it along to this - it was so colourful and fun! It was so great!! 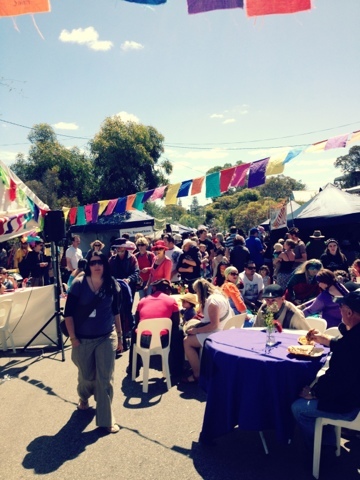 It makes me love living in Freo so much, I love the sense of community!! I often hear about things after the fact too, there is just so much going on to keep up with! Sounds like a great day out and educational too! Those sand sculptures look amazing!